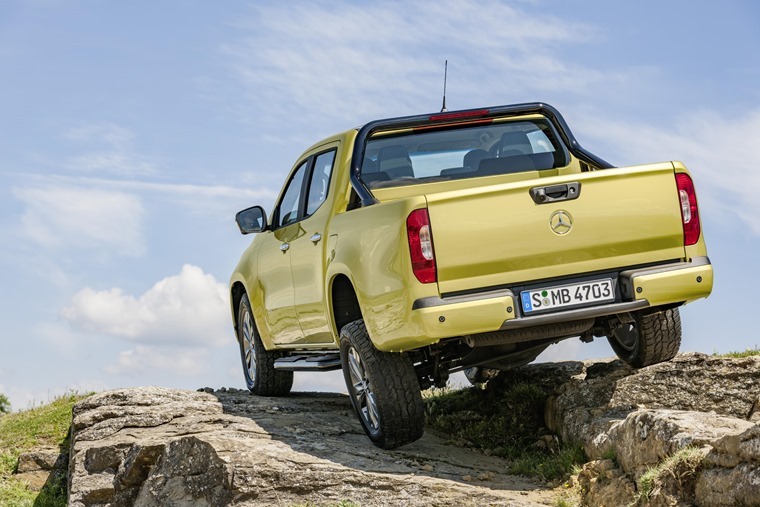 Mercedes has revealed its V6 diesel X-Class 350d will cost from £38,350 excl. VAT when deliveries commence in November. The 254bhp joins the four-cylinder version that are already available to lease, and brings with it permanent all-wheel-drive and a 7G-Tronic automatic transmission. 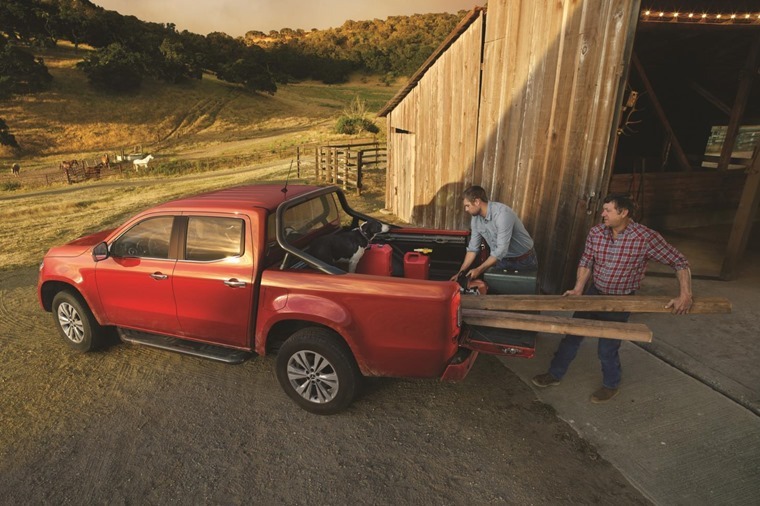 All vehicles are doublecab, with 4MATIC selectable all-wheel drive and low-range, drive selection mode, with double wishbone front suspension, and multi-link rear suspension, all as standard. 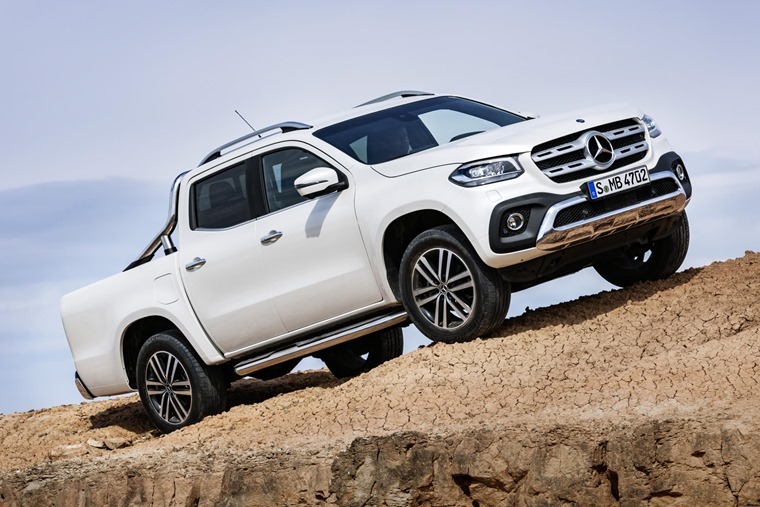 With the tag-line ‘First of a new kind’, the Mercedes-Benz X-Class pushes the boundaries of the classic pickup by merging its typical traits - robustness, functionality, strength and off-road capabilities - with the classical characteristics of a Mercedes - design, comfort, driving dynamics and safety. 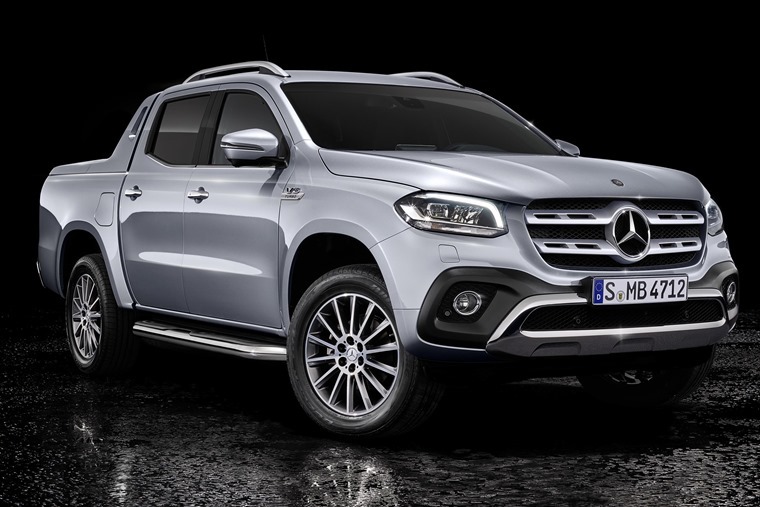 With this in mind, the X-Class variants will offer a pickup to suit different lifestyles and work environments: The Pure basic variant will be ideal for classic robust use, Progressive will be for those with higher requirements in terms of quality, feel and comfort, and Power will be the high-end variant for urban lifestyles. The resulting is set to be the first ‘premium’ product in a pickup market that is literally picking up across the globe. 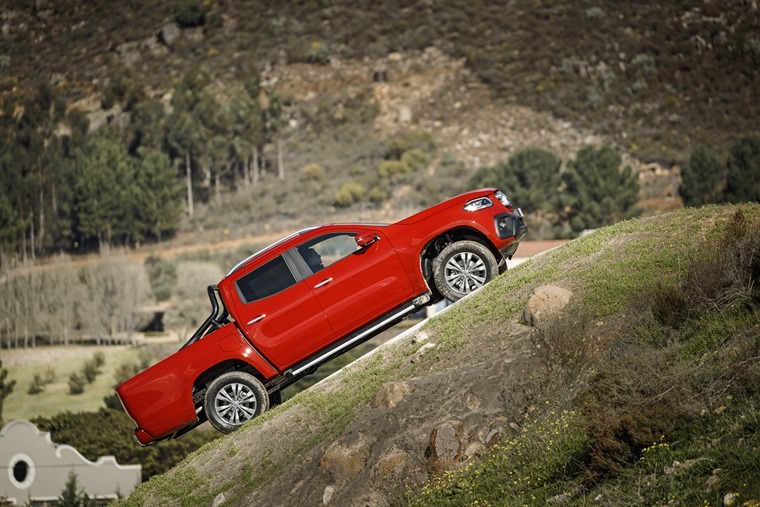 The worldwide market for pickups has undergone radical change in recent years and, thanks to various tax benefits, are becoming an increasingly popular choice in the UK. 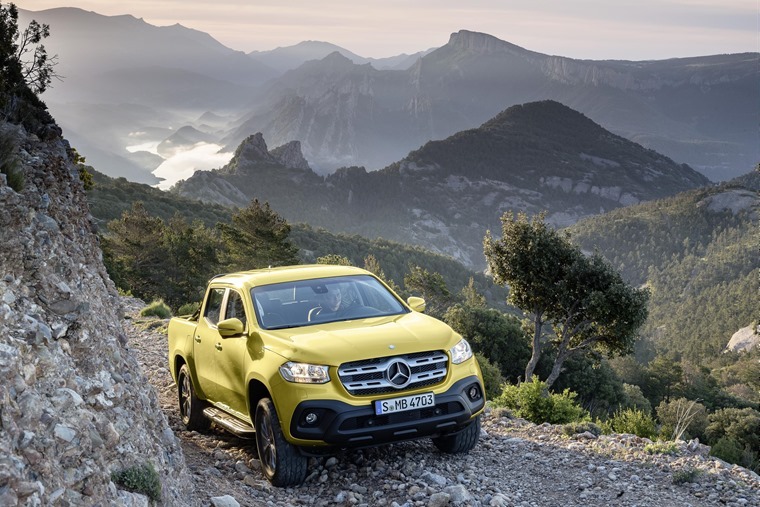 From launch, the X-Class is initially offered with a choice of two 2.3l diesel engines: the X 220d 4MATIC offering 163hp, or the X 250d 4MATIC twin-stage turbocharger with 190hp. The X 220d 4MATIC comes with a six-speed manual transmission in a choice of Pure or Progressive model lines.The X 250d 4MATIC is available in all three model lines, with a seven-speed automatic gearbox available. Taken from the E-Class saloon, the latest X350d version produces 254bhp and 555Nm of torque. This is enough to propel the X-Class from 0 to 62mph in 7.8 seconds. This variant also features a driving mode switch as standard that is rarely encountered in the pickup segment. The 4MATIC permanent all-wheel drive with low-range reduction gear and an optional rear axle locking differential ensures excellent performance and traction on a wide range of driving surfaces. 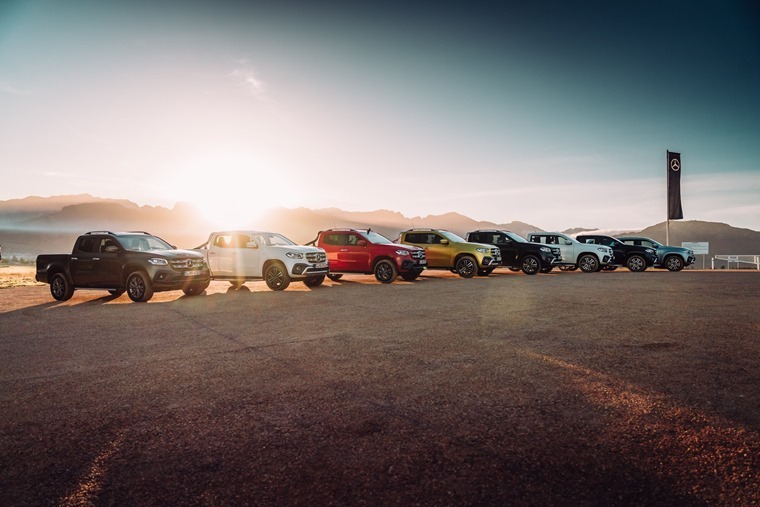 Thanks to the wide track, the spring and damping system tuned for the comfort typical of a Mercedes, and the coil springs as well as internally vented disc brakes on the front and rear, the X-Class is the first pickup that offers not just excellent off-road ability but also superb on-road performance. 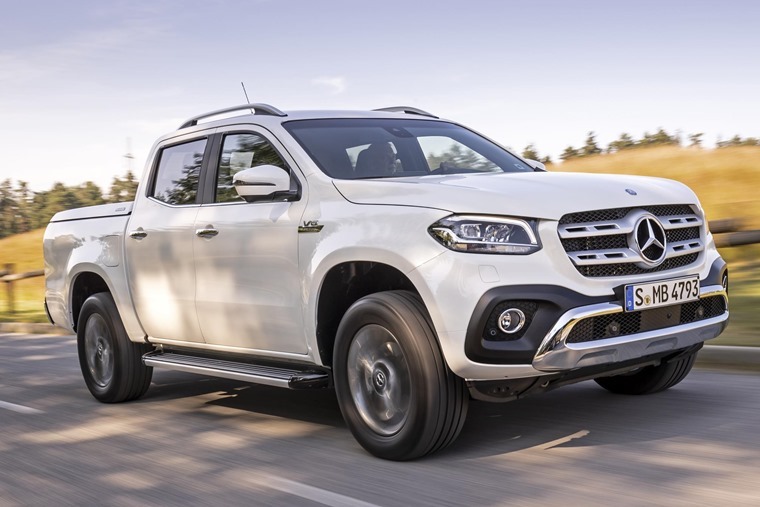 The X-Class is the result of a parts-sharing deal between Mercedes and the Renault-Nissan Alliance – so it is based on the platform of the Nissan Navara pick-up which is as solid a choice as possible. The models feature a five-seat double cab layout, with the aim to create a dual-use vehicle – one for personal transport, and one for commercial use. Style-wise, there’s no doubt that this is a Mercedes and it’s one of the most upmarket pick-ups we’ve seen to date. The entry-level Pure model is only available with the six-speed manual transmission 220d 4MATIC engine, and offers a rear bumper with integrated step, halogen headlights and a radiator grille with matt black finish. The model also offers semi-automatic air-conditioning with high gloss black details in the air vents and 17-inch steel wheels as standard. The mid-level Progressive model (£28,510, exl VAT) is offered with a choice of either the 220d 4MATIC engine, or the uprated 250d 4MATIC engine. Offering aluminium door sills featuring ‘Mercedes-Benz’ lettering; chrome door handles; load securing rail system; heated exterior mirrors; and a radiator grille with iridium silver matt finish. The model also comes with black fabric upholstery and an aluminium trim, with automatic dimming interior mirror with integrated compass function, illuminated sun visors, lighting for the front footwell and exit lamps, and chrome air vents. The high-level Power mode (£30,810 exl VAT) is offered in conjunction with the 250d 4MATIC engine only, and features LED high-performance headlights with cleaning system; LED tail lights; electrically folding exterior mirrors; and keyless as standard. Its gaping air intake and high up headlights give it a look that distinguishes it from the rest of the sector, but it’s dominated by Mercedes’ trademark three-pointed star, just in case you weren’t aware of its opulent aspirations. 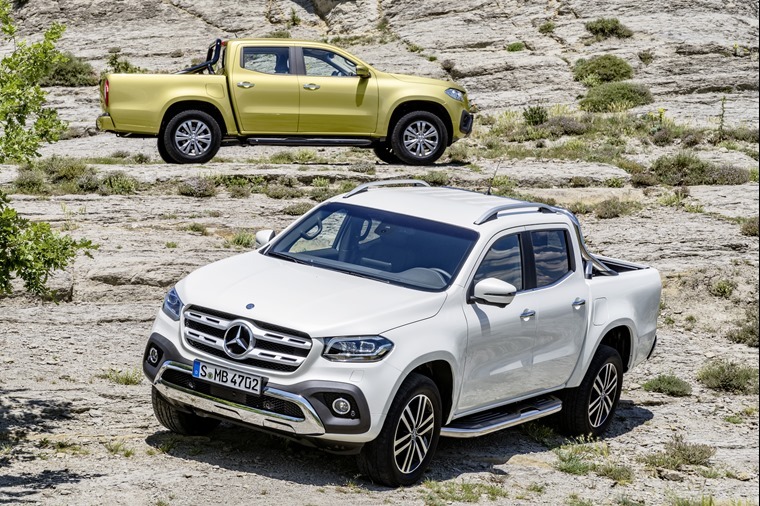 From its market launch, there will be seven option packages so the X-Class can be customised to suit the requirements of the owner. These include Style Package for Power and Progressive trims, Comfort Package for the interior of Progressive models, Parking Package available on Progressive and Power models and Winter Package available across all three model lines. Other optional extras include a differential lock for the rear axle to enhance off-roading capabilities, increased ground clearance as well as a variety of paint choices. If the exterior left you in any doubt as to the pick-up’s origin, clamber aboard and those doubts are immediately erased. There will be three trim parts for the cockpit - six seat covers including two leather variants with contrasting topstitching, and two colours for the roof lining - to provide the widest choice of materials and colours in this vehicle segment. There’s a tablet display at the heart of the dash, while all the vehicle’s functions are controlled through the same touchpad interface we have seen in other Mercedes. An engageable all-wheel drive system will offer low-range gearing and optional differential lock on the rear axle to master any terrain, while a permanent all-wheel drive system will be available from the middle of next year. 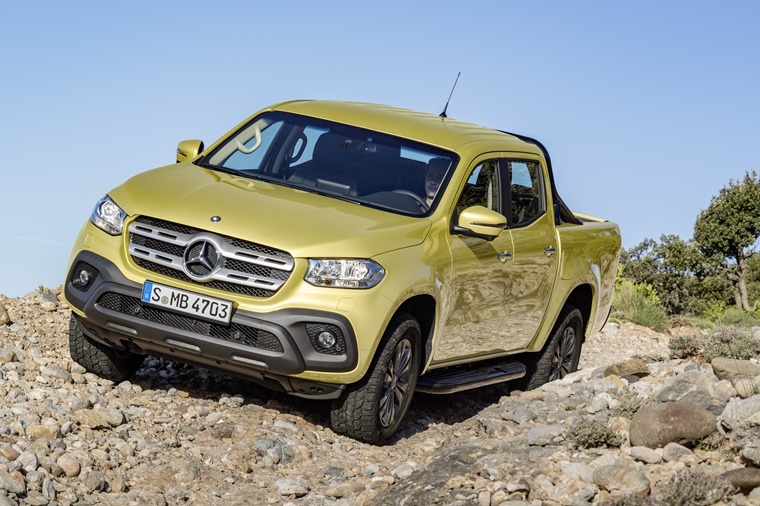 On top of this, the X-Class stands out for its exemplary passive and active safety equipment including Active Brake Assist, Lane Keeping Assist and Traffic Sign Assist, among others. Dr Zetsche, head of Mercedes-Benz Cars, said: "With the Mercedes-Benz pickup, we will close one of the last gaps in our portfolio. Our target: we want to offer customers vehicles matching their specific needs. 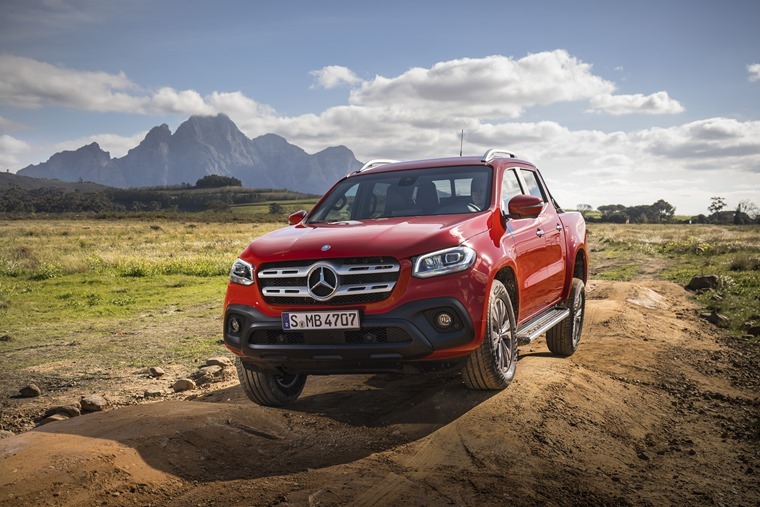 The X-Class will set new standards in a growing segment."